Nano calcium phosphates inhibit cancer cell proliferation. Please be reminded of the call for data on processed manures to input to the EU Commission / JRC study for the Nitrates Directive. Please send – as soon as possible - any data relevant to nutrient leaching, agronomic performance, LCA or quality/safety of recycled nutrient products. Also, we remind of the JRC call for manure runoff field test site candidates. About 400 animal by-products processing professionals met at the annual EFPRA Congress (European Fat Processors and Renderers Association), Barcelona, 20-23 June. Sebastian Csaki, International Feed Industry Federation presented GFLI, indicated that around one billion tonnes of animal feeds are produced annually, with considerable international trade dependency: e.g. the EU only produces around 42% of its animal feed protein needs, the rest is imported (in particular soya). The Global Feed LCA Initiative “Global metrics for sustainable feed” aims to develop recognised LCA data to respond to global purchasers’ and regulators’ demands for information. The system is backed by FAO Livestock Environmental Assessment and Performance Partnership (LEAP) and is EU PEF (Product Environmental Footprint) compliant. ESPP summarised objectives for sustainable phosphorus management, and outlined implications of the new EU Fertilisers Regulation for the rendering industry. Questions and discussion showed the interest of renderers to accelerate the inclusion of ABP products into the Fertilisers Regulation (CMC11, STRUBIAS), in particular to confirm that Cat1 derived ash (after ABP End Point incineration) can be used as fertilisers, to ensure the inclusion of Cat2 and Cat3 derived fertilisers products in the Regulation (see e.g. SARIA France below). Other challenges include enabling more flexible use of bovine-derived protein products in animal feeds, where safety has been demonstrated. Marius van Krimpen, Wageningen University & Research presented EFPRA supported studies showing that pig PAP (processed animal protein, see SCOPE Newsletter n°122) can replace 20% (finishing) - 40% (starter) of soya in broiler chicken diet with positive impacts on growth and no negative impacts on bird health. The IWAMA Interreg project (2016-2019) aims at improving the resource efficiency and sludge handling in wastewater management of the Baltic Sea Region, with consortium members in Germany, Poland, Lithuania, Latvia, Estonia, Finland, Sweden. The project seminar in Kalmar, Sweden, 14th June 2018, looked at different technologies for nutrient recovery and recycling including overviews by Matthias Barjenbruch, Technical University of Berlin, Germany, and by Ludwig Hermann, Proman, ESPP President. Technology presentations included PCS Airprex (struvite recovery), PONDUS (N-recovery from sludge by thermos-chemical sludge hydrolysis, improved biogas production and vacuum degassing), PAKU (thermal treatment of sludge and use of ash at the NEVE fertiliser plan), Ekobalans (struvite and ammonium sulphate recovery). Also the Finland Ekolaari sewage sludge certification and traceability system was presented, which aims to increase farmer confidence in sewage biosolids used to return organic carbon and nutrients to soil. Other innovative approaches presented included filter-based technologies for nutrient removal and biological solutions such as mussel production. On 13th July, the Swedish Environment Minister, Karolina Skog, announced an enquiry into a possible ban on agricultural use of sewage biosolids and into proposals for a legal requirement for phosphorus recovery for recycling from sewage sludge. The Government suggests that today only 30% of Sweden’s sewage sludge is used in agriculture, whereas the majority goes to landfill or landscaping and states “The aim of the inquiry is to ensure that phosphorus is recycled from sewage sludge in a non-toxic and safe manner and can be used to a greater extent in agriculture”. The Minister cites the problems of pharmaceutical residues, metals and microplastics in sewage sludge, and states that the objective is not to prevent the production of biogas (sludge methanisation). The enquiry will be led by Gunner Holmgren, former Governor of Västernorrland County and Director-General of the Defence Materiel Administration, and experienced in leading government enquiries. The European Environment Agency’s latest assessment of water quality status across the EU shows that less than 40% of surface waters (rivers, lakes, coastal waters) are achieving good quality status, despite this was the legal objective for 2015 under the Water Framework Directive (2000/60/EC). Very many Member States have applied for exemptions to this obligation, delaying until 2021 or 2028. The biggest pressures on surface waters are hydromorphological modifications (40%), diffuse pollution particularly from agricultural nutrients and pesticides (38%) and atmospheric deposition of chemicals (e.g. mercury) (38%). This is despite important actions taken to address nutrient pollution over recent decades, including a 50% reduction in agricultural phosphorus surpluses from 2000 to 2013 (7% reduction for nitrogen) and even more important reductions in point source emissions through improved sewage collection and treatment. DG Environment has promised a report in November 2018 making clear recommendations to improve implementation of the Water Framework Directive and assessing whether exemptions are really justified, and has indicated that legal actions against Member States will be engaged over implementation failures. The Commission has also announced a public consultation on the Water Framework Directive in September 2018. 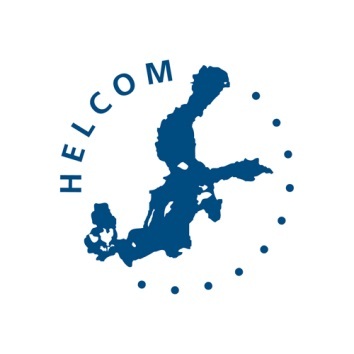 The Baltic Sea Commission (HELCOM: 8 EU Member States, plus Russia and the EU) annual Ministerial Meeting 2018 has committed to elaborate, by 2020, a “Nutrient Recycling Strategy aiming to reduce nutrient inputs to the Baltic Sea”. The Ministerial Declaration acknowledges progress in reducing Baltic pollution, but reminds that the Baltic is “still heavily affected by eutrophication” and that maximum allowable phosphorus and nitrogen inputs are exceeded in most sub-basins. The Nutrient Recycling Strategy is one of 10 actions agreed, along with eutrophication, hazardous substances, underwater noise, climate change, litter – circular economy, seabed damage, biodiversity, ecosystem approach and governance. The Nutrient Recycling Strategy will focus on measures at source, recycling of nutrients in manure and sewage sludge, ensuring environmentally safe recycling, develop guidance on risk assessment and on technological processes, identify Baltic regional challenges and identify common visions and objectives for nutrient recycling. The European Court of Justice (ECJ) ruled on 21st June 2018 that Germany is breaking EU law by allowing excessive use of manure as fertiliser, so causing nitrate pollution of groundwater. This follows action against Germany engaged by the European Commission in October 2016. Official data shows that nearly 30% of Germany’s groundwater exceeds the 50 mg nitrate/litre limit set by EU legislation. The ECJ has ruled that despite tighter limits for fertiliser and manure application fixed by Germany’s fertiliser ordinance in 2017, this is not sufficient. The Court states that the Germany ordonnance “allows farmers to over-fertiliser … to exceed the real nitrogen needs of crops, which can result in nitrate inputs to water. This is contradictory to the principle of balanced fertilisation”. The ECJ concludes that the German ordonnance allows excessive application of manure beyond the Nitrates Directive limit of 170 kgN/ha. Germany had claimed that because the nitrogen in manure was mostly in organic form it was unlikely to be rapidly leached to groundwater. The ECJ rejects this argument as supported by no scientific evidence. 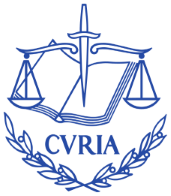 The ECJ further concludes that German Länder rules in many cases do not oblige farmers to have adequate manure storage facilities (to allow spreading of manure on land only when needed and appropriate). It should be noted that Germany updated its fertiliser ordonnance in 2017 to address the issues raised above. However, a recent study by the University of Kiel for BDEW (German federation of water and energy industries) also concludes that the updated 2017 German fertiliser ordonnance still allows spreading of manure beyond EU legal limits and environmental limits, with “widespread disregard for all agricultural and environmental science-based recommendations”. 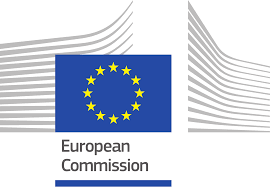 As part of the EU Circular Economy Package, updates of four key EU waste Directives were published on 14th June 2018: Directives on waste, landfill, end of life vehicles and batteries, and packaging waste. Member States will have to recycle 55% of municipal waste by 2025 (and 65% of packaging), rising to 65% by 2035. Bio-wastes will have to be separately collected by 2023 (bio-wastes are defined as “biodegradable garden and park waste, food and kitchen waste from households, offices, caterers, retail, food processing etc. Food waste should be reduced by 50% at the retail and consumer levels by 2030, as well as addressing food waste losses throughout the production and supply chain. The European Parliament has adopted a report asking for the development of indicators to assess how EU Cohesion Funds (European Structural and Investment Funds = ESI) contribute to the circular economy and suggesting a significant increase in climate and circular economy related spending in Cohesion Funds. The report highlights “ex-ante conditionalities” of Cohesion Funds such as environment and resource efficiency and requests that the conditionalities be developed to take into account the waste hierarchy and the circular economy. 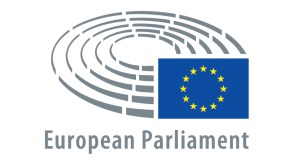 The Parliament proposes that “circular economy” as such be added to the ESI “Intervention Fields”. The need for EU-level taxation and other tools to ensure that secondary materials are market competitive is noted. Synergies between ESI support to the circular economy and actions funded through LIFE, SME funding (COSME) and R&D programmes should be improved. The importance of regional and city actions for the circular economy, and of the bioeconomy are underlined. The Netherlands Government has refused a subsidy to the OCI Nitrogen (fertiliser producer) and Re-N Technology project (Zitta project, Chemelot, Limburg Province, Netherlands). The project would be the biggest biogas plant in the Netherlands, treating 700 000 ton/year of pig manure and producing biogas (40 million m3/year), dried manure pellets and purified water as well as recovering nitrogen. The cost would be around €80 million (plus €10 million to integrate into the existing fertiliser factory). The Netherlands Government Sustainable Energy Regulation (SDE) rejected the subsidy proposal because of “insufficient confidence”, whereas the companies underline that the economic risk in such an ambitious and innovative project is precisely why public support is needed. The companies indicate that they continue to hope to realise this project but consider subsidy necessary. Several Horizon 2020, INTERREG and LIFE EU research funding calls are open or will be opened soon for which nutrient recycling and stewardship fits in. Seven open calls under Horizon 2020 at this moment are related to the biobased industry (BBI) with a submission deadline soon of 6 September 2018, with two focused specifically on nutrients. One call (BBI.2018.SO1.D2) has a focus on finding solutions to dilution, pollution and content diversity challenges to turn mixed urban bio-waste into sustainable feedstock for the bio-based industry. The other call (BBI.2018.SO3.D4) has a focus on producing biopesticides or bio-based fertilisers as components of sustainable agricultural management plans. The other five calls have more general biobased industry focus. Other interesting Horizon 2020 calls with a focus on nutrients should be published on 16 October 2018, with a submission deadline 23 January 2019. These calls will focus on closing nutrient cycles (CE-RUR-08-2018-2019-2020), high-quality organic fertilisers from biogas digestate (CE-SFS-39-2019), circular bio-based business models for rural communities (CE-RUR-10-2019), integrated water management in small agricultural catchments (SFS-23-2019), and sustainable European aquaculture 4.0 nutrition and breeding (DT-BG-04-2018-2019). A call on building a water-smart economy and society including reuse of wastewater and recovery of nutrients (CE-SC5-04-2019) should open 14 November 2018, submission deadline 19 February 2019. In the same period several calls will be opened with a focus on more sustainably primary and secondary sourcing of critical raw materials (CRMs, e.g. phosphate rock and white phosphorus) and on soil management. INTERREG North Sea region and North West Europe region have submission deadlines in September and November 2018 respectively. The Integrated Projects and Preparatory Projects under the LIFE sub-programmes for Environment have deadlines in September 2018. Horizon 2020 SME instrument has cut-off dates in October, February, May and September. ESPP is interested to collaborate in existing and upcoming research projects and can help in networking, dissemination and communication activities. Please contact Kimo van Dijk for more information and possibilities (). See our ESPP list of EU research funding calls and also the ESPP list of running and finished EU and national funded nutrients research projects. The EU-funded (ERDF, Interreg BSR) project BEST (Better Efficiency for Industrial Sewage Treatment, 2017-2020) will assess the status of industrial wastewater inputs to municipal sewage works in the Baltic Sea region, and make recommendations for process and management improvement. Objectives include to improve sewage biosolids quality by reducing contaminants from industrial discharges (also improving potential for reuse on farmland) and to avoid discharges from industries (including food processing) which can disrupt sewage works operation (by high flows, varying or specific organic contents), so deteriorating the quality of discharge effluent achieved by the sewage works. The project is led by the City of Helsinki and involves 16 organisations in Estonia, Finland, Latvia, Poland and Russia. EU Horizon 2020 project SYSTEMIC has published Fact Sheets on four recycled nutrient products derived from manure for use as fertilizers: Ammonium nitrate, Ammonium sulphate, Mineral Concentrate and Struvite. The Fact Sheets outline, for each product, the typical recycling/production process, average chemical and physical composition (e.g. water content, nutrient contents and forms), agronomic and environmental aspects and current regulatory status. Contaminants are not addressed. The Fact Sheets do not give ranges for values of nutrient content, water content / concentration or organic carbon, and do not yet suggest “cut off” limits for what levels could be acceptable in defining the product: e.g. mineral concentrates are indicated as having “average” 33.4 g/kg dry matter (96.7% water), but it is not suggested what lower limit of dry matter could still be considered to be a “concentrate”. However SYSTEMIC will bring out a report with more information and for this SYSTEMIC is interested in additional information regarding the factsheets and/or further comments and suggestions (). 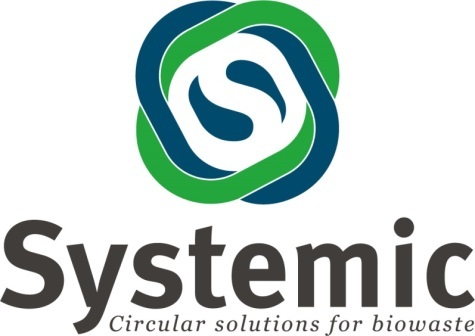 SYSTEMIC has also published Fact Sheets presenting the project’s five demonstration sites (Groot Zevert Vergisting, AMPower, Acqua&Sole, Friday Eggs, BENAS) and eleven outreach sites (GreenGas, SOM Energia, Biogastur, BioGas Bree, Waterleau New Energy, SCRL Kessler, GMB, Emerude, WaterNet, Bojana, Atria) summarising biogas feedstocks and production, status of digestate use today, and objectives for digestate valorisation within the project. Pondus proposes to recover nitrogen from sewage sludge by a combination of thermos-chemical hydrolysis, enhanced anaerobic digestion and vacuum pump ammonia stripping. The sludge is first treated to pH 11, 65°C (using waste heat from CHP). After 2 hours, the pH returns to around 7. Then it is mixed with fresh sludge before anaerobic digestion, which significantly improves biogas production (+20 to +30%) because of higher temperature and free COD, as well as reducing sludge viscosity and polymer consumption in dewatering. This process is operational at a number of sites including in Germany (e.g. Gifhorn), USA and China, up to 50 m3/hour. Pondus is now working to combine this process with vacuum degassing (during dewatering) of the digested sludge, followed by gas washing to recover ammonia sulphate, and with phosphorus recovery by struvite precipitation. This nitrogen recovery process has been laboratory tested, and a 50-100 litre/hour pilot plant is planned with KWB in Berlin for 2019 in the Horizon 2020 project “Circular Agronomics”. The Ellen MacArthur Foundation (EMF) has launched an initiative called “Cities and the Circular Economy for Food”, at a meeting in London 20th June 2018 attended by ESPP Board Member, Andrea Gysin of Ostara. This follows the Foundation’s “Urban BioCycles” initiative 2017, which seems to be now shelved (see ESPP eNews n°9, April 2017). EMF suggest that cities worldwide throw away 600 million tonnes of organic materials, that nutrient recovery could nearly three times replace fertilisers and that improved diets could save 1.4 billion US$ on healthcare in the USA alone. Like the “Urban BioCycles” project, the new initiative seems to mainly target nutrient recycling in cities. Despite the fact that most food is produced in rural areas, the scope extends to peri-urban agriculture and not beyond. However, concepts cited include “regenerative agriculture” (holistic agriculture, without pesticides or artificial fertilisers, which cultivates soil health and ecosystem services), as well as organic waste recycling, closing nutrient loops and protein substitution. Case studies cited include Agriprotein (black soldier fly larvae conversion of organic waste to protein, see ESPP eNews n°15 September 2017, 40 000 t/y waste recycled at a first site in South Africa, other projects underway), LUFA rooftop farms (3 installations in Canada, total 1.3 ha) and Toast Ale (since 2015 a total of 18 tonnes of bread cut-offs discarded from sandwich making used in breweries) and Winnow (data on food waste in commercial kitchens). The outputs will be launched at the World Economic Forum in Davos 2019. Recent studies (in vitro and in vivo) suggest that nano-particles of calcium phosphates can inhibit proliferation of human cancer cells, whilst having much less effect on normal cells. Nano tri calcium phosphate (nTCP) showed to more inhibitive than nano hydroxyapatite (nHAP). Nano-particles of size of 60-70 nm were more effective than larger particles. Authors suggest the effect may be related to negative surface charge of cancer cells and both positive and negative binding sites on the nano calcium particles. Calcium phosphates are widely present biological molecules (e.g. in bones) so could possibly provide a future cancer treatment with low risks of side effects.